Designed to heighten the imaginations of our young artists through creative and technical exploration, our artists incorporate the techniques learned through both individual and collaborative works. We anticipate our classes will fill up quickly, so be sure to enroll as soon as possible. For questions or more information, please call us at 937 552 5848 or email us at MayflowerArtsCenter@gmail.com. Interested in Private Art Lessons? Vincent van Gogh. 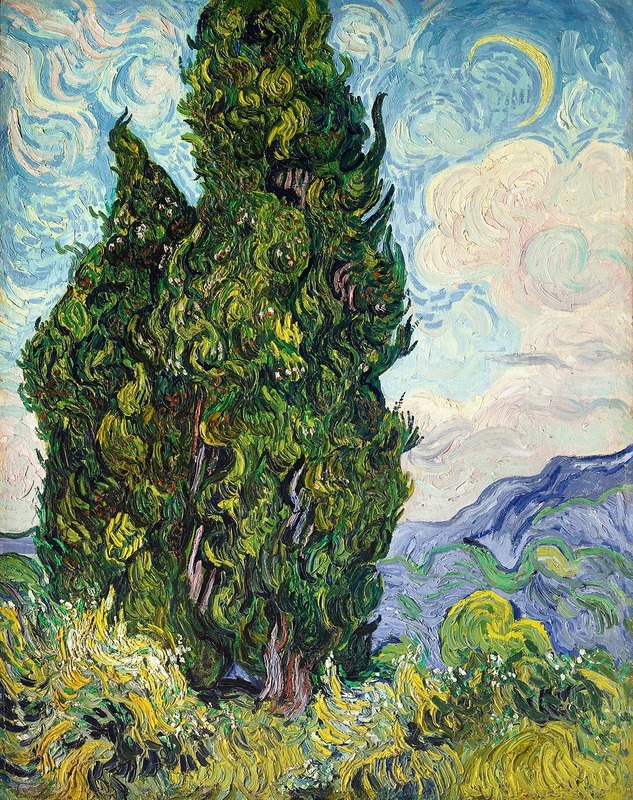 Cypresses. 1889. Oil on canvas. The Metropolitan Museum of Art, New York. Each week we will identify and master the elements and principles of art (and sometimes music!) to create amazing artworks in response to the historical and cultural impact of prominent master artists. As we create, we will refine our own individual techniques using a vast media which include (but not limited to): drawing, painting, printmaking, sculpture, and fiber. Through this study, students will gain a better understanding of line, form, space, pattern, scale, balance, movement, harmony, color, and value.